The Hangover Club is a new Saturday brunch in The Skyroom near London Bridge, where you can have a relaxed and interesting brunch every week from 22nd June. "The Hangover Club is a Brunch Residency on a beautiful Rooftop in London Bridge. 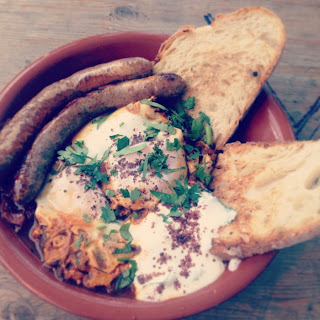 This week they are inviting The Good Egg to serve up their legendary hangover cure of Breakfast Burritos, Exotic Shakshuka and of course healthy Egg White Omelettes. The special drinks list to de-tox or even retox was created to help you crawl out of your post-Friday night misery!"